Learn how to use a dip pen & ink in this beginner modern calligraphy online class! Click to Enroll Want a free sneak peek at what you can expect?! Why take this Introduction to Modern Calligraphy for beginners class?! Dip pen and ink calligraphy is very intimidating! In this class, you'll learn the very specific tips on everything you need to know from, how to form letters properly, how to hold the pen correctly to how to control the nib and ink! 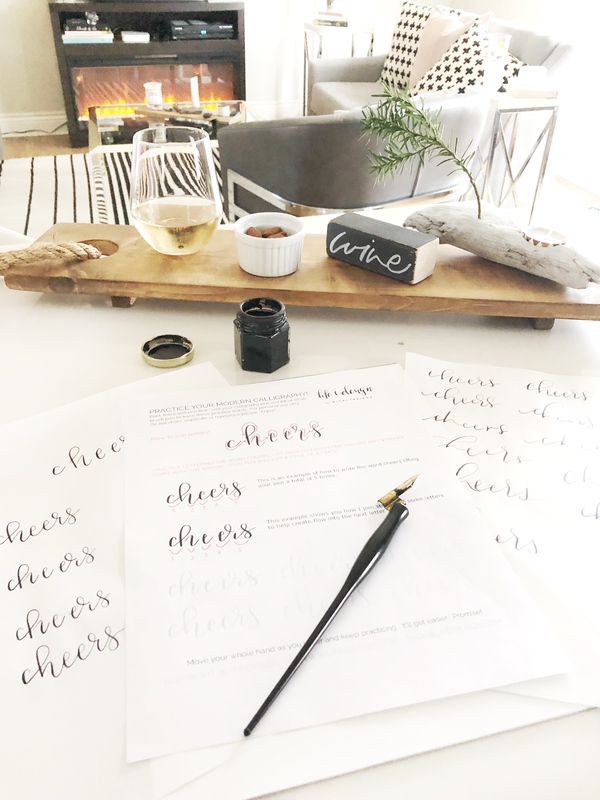 Video instruction along with printable tracing worksheets round out this easy & quick calligraphy class! Enjoy live demonstration on how to write the alphabet for you to start building your own variations of lettering. Enjoy bonuses designed to help you learn modern calligraphy quickly and easily with my 30 day plan! NEW! 30 days of calligraphy practice to improve your new skill! You've made it! Remember to practice and grow that muscle memory. Some inspiration and fun project ideas for you to try! Another little bonus from me! Want to learn at your own pace?! No problem! Take the class at your own pace, go back to each video as much as you need and practice as often as you can! We all learn at our own pace and calligraphy should be relaxing! Get lifetime access to this course & bonuses when you register! You'll need a dip pen, nib, ink and paper for this class. But don't worry! I'll teach you all about my favorite tools to use to get started with dip pen modern calligraphy! Yes! You get a couple workbooks as well as a bunch of tracing sheets to use as you follow along the video instructions for this class! "I loved this class! Have been wanting a clear instruction video after playing around with brushpens and youtube tutorials, this is nice and easy to follow with how to load your pen and assemble your dip pen and I felt like my improvement was quite fast! A wonderful class, I just had to stop the video of the alphabet to do full lines of each letter (of course) but now I have the basics down and feel more confident to practice on my own. Thank you!” "This class exceeded my expectations! Thank you!" Get started with your modern calligraphy journey today! Check out the variety of creative classes offered here!